Two-story, 1,575 square foot townhome that sits atop quiet office space in historically designed building. Built in 2019, this residence includes a large kitchen with plenty of counter space, an eating peninsula, and all stainless appliances. The living room is open to the kitchen and includes a gas fireplace, bay windows that overlook the street, two bedrooms and a full bath. 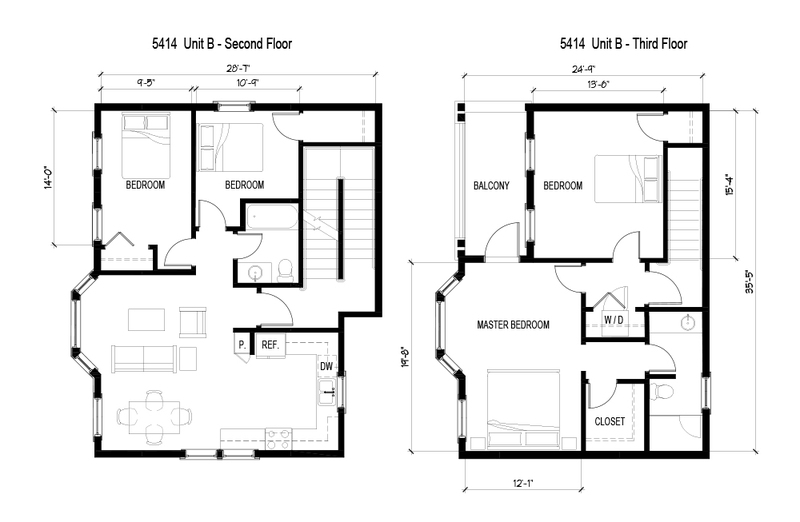 The upstairs includes two large bedrooms, a private deck off of master suite, walk-in closet, full W/D , full bath, and plenty of storage space. Designer colors and fixtures throughout. No shared walls with neighbors in this residence. Common area amenities include gated, secure access points to the courtyard, a state of the art security camera system, a landscaped courtyard, and dedicated parking.